Meet the Evening MBA Class of 2021! A new class of Evening MBA students have joined us at Rowling Hall in Austin this spring to kick off their MBA journey! During their January orientation, our first group of ’21s prepared for their classes, got to know each other, met MBA faculty & staff, and had a great week of networking and fun. 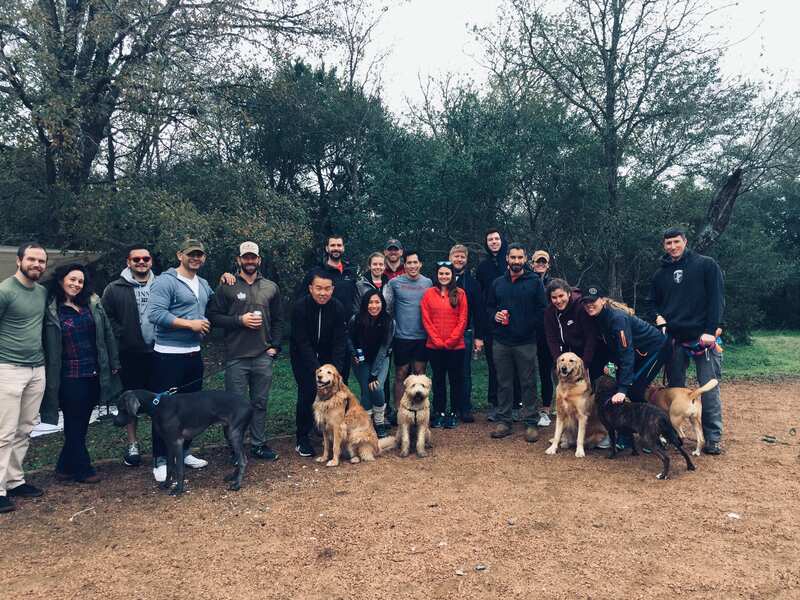 Evening MBA students start their program annually every January, with classes held Monday and Tuesday evenings in Austin. With their weekends more flexible and their careers un-interrupted by their class schedule, our Evening MBA students are truly unique. We had a very strong and enthusiastic pool of applications to pull from when putting together our Working Professional MBA classes this year, and the numbers certainly reflect that. The Evening MBA welcomed a larger class than last year, with 65 new Texas McCombs students. 8 different nationalities and citizenships are represented, including India, Mexico, Costa Rica, Brazil, Spain, Syria, Italy and the U.S. This is also one of the most diverse classes in terms of job functions and industries, that the MBA program has ever seen. In addition, over half of the Class of 2021 earned their undergraduate degree outside of Texas. After entering the workforce, these students earned an average of 5.8 years of work experience before applying to the MBA with notable companies like Apple, Tesla, Whole Foods, Facebook, IBM and Yeti. The class has 25% women, holding steady within the overall growth in the number of women in our Working Professional programs. The number of underrepresented minorities in the class doubled this year, marking another success as we continue to advocate for the inclusion of individual perspectives and diverse backgrounds in our classes. Our Evening students come from a wide range of companies and some of the most exciting and innovative employers in the U.S.
We feel humbled and privileged by the amazing experiences and perspectives making up the Texas McCombs MBA Class and cannot wait to see what they accomplish during their time in the program. 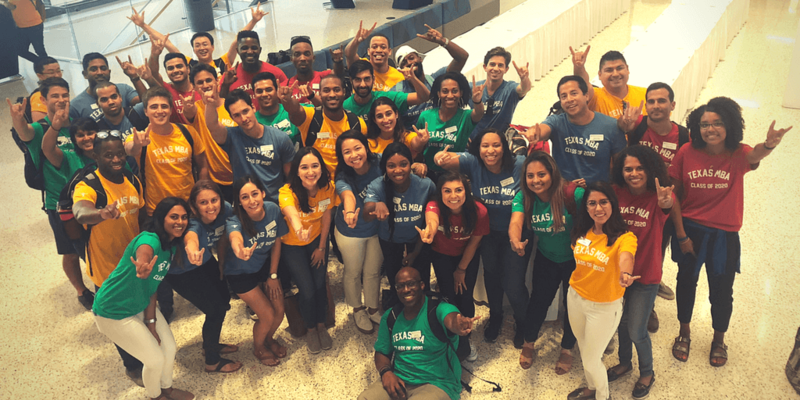 If you’d like to join them as part of Texas McCombs MBA network, our 2019-2020 application is open! Our MBA culture is famously welcoming and our students come from diverse backgrounds that make our community dynamic and inspiring. It has been said that McCombs MBAs are relentlessly driven, yet they are the first to jump in and encourage and support each other to excel. We call this collaboratively competitive. Connect with our community at an MBA event soon to see for yourself what sets us apart. Austin, Texas tops rankings for quality of life, growth and innovation year after year. At the center of this thriving city is Texas McCombs— and even though our MBA program is relatively smaller to allow for a more immersive, tight-knit experience, the wider UT Austin network is one of the largest in the world: 500,000 UT Alumni, 100,000 McCombs Alumni and 25,000 MBA Alumni. This past year the MBA program moved into a brand-new, world-class facility. Robert B. Rowling Hall sits at the intersection of The University of Texas and the Austin business community and is a launch pad for the future. Open, transparent and flexibly designed, the building creates the physical space for you to engage, collaborate and learn experientially. 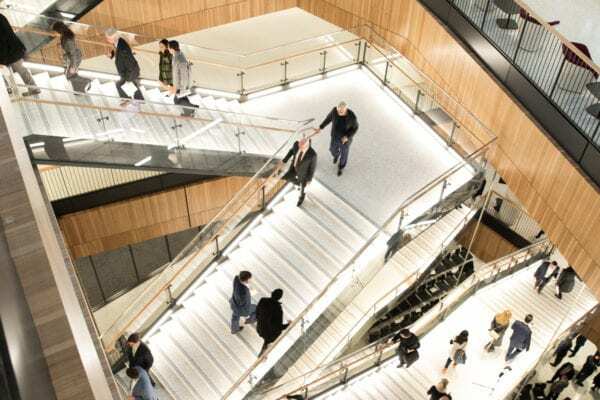 Our dedication to excellence plus our innovative new space has made us a Top Ten Business School to Watch in 2019 at Poets and Quants! Texas McCombs is human-centered and future-focused, meaning we have our eye on what’s coming next in business– from the exciting research coming out of McCombs every day to the many rankings where we have moved up in the past year. We strive to be a top business school, giving our students the best possible experience. Most recently, we jumped up five spots in Financial Times’ Global ranking of Business Schools. As a UT Austin undergrad, how did you approach researching Business Schools? What were you looking for in a graduate degree? As I researched graduate programs, I looked for business schools that provided expertise in innovative areas like technology and entrepreneurship – not only in their academic program but in the access students would have in the community. Not only did I want the opportunity to learn from some of the best professors in the world, I wanted the chance to apply those learnings with practitioners who were living it. I also looked for programs that would allow me to access university courses outside of the business school in areas such as policy, law and other disciplines. While an outstanding business school was important, so was the ability to grow my expertise in other areas. Having attended UT Austin as an undergrad, I knew how important it was to have access to a wide range of quality academics and subject matters. 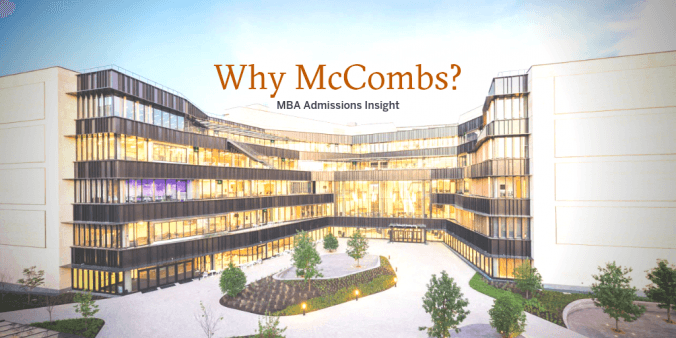 Why did you choose Texas McCombs over other MBA programs? Ultimately, the decision to return to McCombs was driven by culture. After meeting students and alumni of other programs, it really affirmed that there is no alumni network like UT Austin and no culture more driven by collaboration and innovation like McCombs. Beyond that, I was really drawn to the amazing opportunities available in Austin. With one of the largest economies and amazing growth rates, Texas creates many opportunities for those who are interested in being at the forefront of business. Although I spent time as an undergraduate student in Austin, the pace of change in this city is amazing and it feels like I’m rediscovering it every day. Visit Texas McCombs MBA to find out more about all our programs, events and community, or join the #WhyMcCombs conversation on Twitter. Hook ’em! Texas McCombs recognizes the value military veterans bring to our campus. Our community is one of support, collaboration, and dedication to prepare you for career success, which is why our MBA is consistently a top-ranked program for veterans. Transitioning from a military career to civilian life can be challenging. An MBA degree is and unbeatable resource for veterans. While in the program, you’ll enhance business skills, connect with a global network of Longhorns, and transition into a civilian role in the business community. 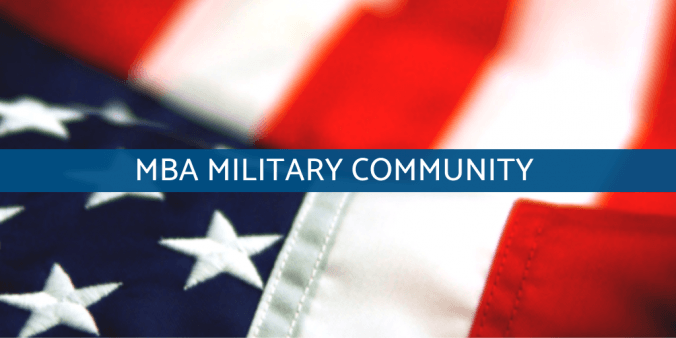 As the primary MBA student organization for military veterans in the program, Texas Veterans in Business (TViB) is a great way to get connected and involved in our community. The organization focuses on drawing parallels between the principles learned in the military and the skills required to be successful in business. Meet the CGSM Class of 2020! 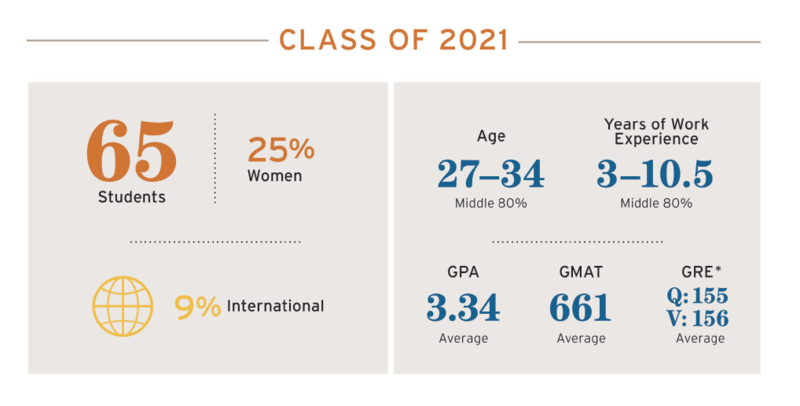 August 31, 2018 / Texas McCombs MBA / Comments Off on Meet the CGSM Class of 2020! Each year, our MBA Admissions Committee is guided by the belief that success is only possible through a diverse set of perspectives and backgrounds in our classes. One of the ways we work to achieve this, is by partnering with organizations that connect top business schools with MBA candidates, companies, and community leaders that share our commitment to providing access to education and a welcoming, supportive business environment. One of Texas McCombs’ longstanding partnerships is with the Consortium for Graduate Study in Management (CGSM). The Consortium is an alliance of some of the world’s leading graduate business schools and corporate partners, with the mission of enhancing diversity and inclusion in global business education and leadership. 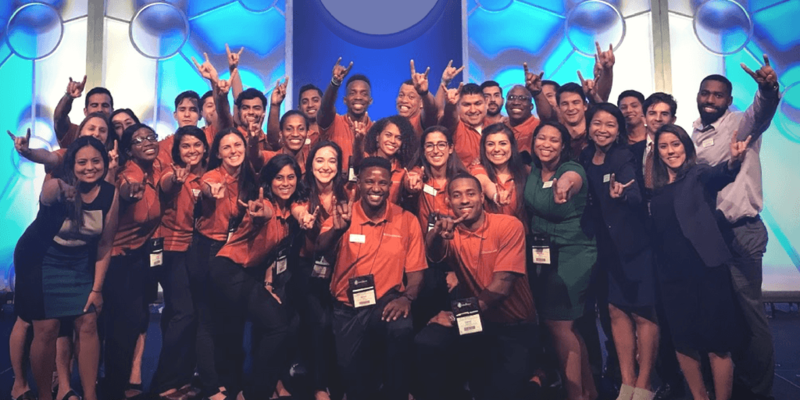 Texas McCombs has been a member of the Consortium since 1984, and each year the MBA program participates in CGSM events across the country to recruit candidates who share this mission. This year, we welcomed our largest CGSM class ever! As a CGSM student, the first step in the MBA journey is the Consortium Orientation Program (also known as OP). The OP gives students from all of the Consortium member schools the opportunity to interact with each other, attend panels and workshops for personal and professional development, and to network and interview with corporate partners. It’s also a bonding experience for the incoming class, where they begin to form new friendships and support one another as they prepare for the start of the MBA school year. 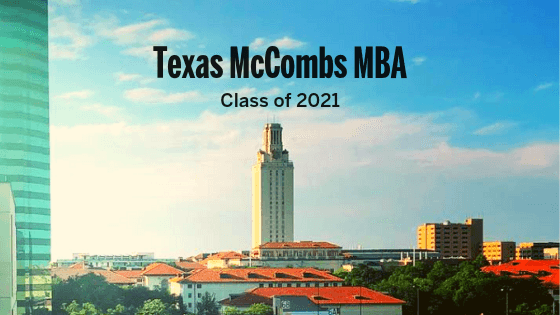 The Class of 2020 includes 39 outstanding Consortium MBA students from all over the U.S. and we are excited to see what they will accomplish during their two years at Texas McCombs. Four new CGSM students – Bryant Buraruk, Alexandria Moragne, Damon Reynolds, and Jackie Rojas – share their experience below, as well as their advice for future Texas McCombs MBAs interested in applying through the Consortium. 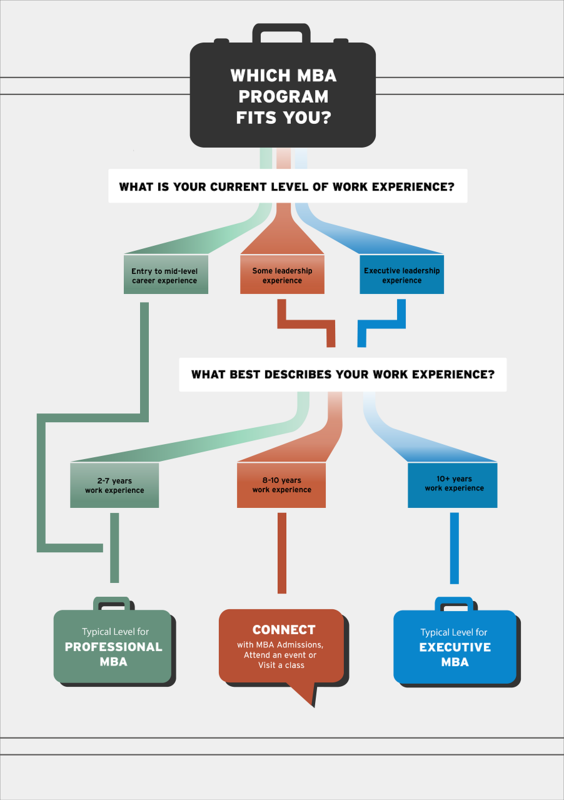 Which Part-Time MBA Program is Right for You? 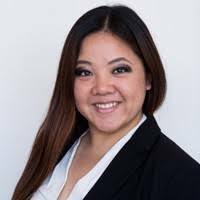 July 2, 2018 / Texas McCombs MBA / Comments Off on Which Part-Time MBA Program is Right for You? This MBA Insider info comes from Sharon Barrett, Director of Working Professional and Executive MBA Admissions. 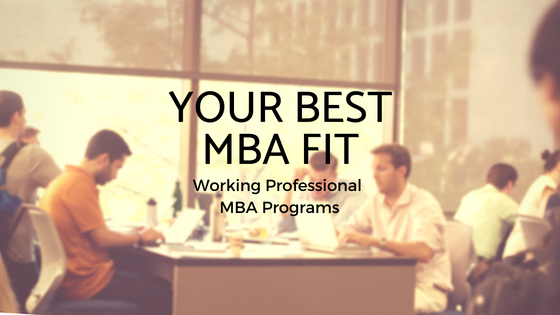 If you compare the class profiles of our Executive MBA with our Professional MBAs– Evening MBA, MBA at Dallas/Fort Worth, and MBA at Houston programs– the differences can seem obvious. But there’s actually a broad grey area, where many professionals could fit well into either the Executive MBA or one of our Professional MBAs. In the end, it’s a very personal decision about where to submit your application. But remember, it’s a two part process. You decide where you belong and the admissions committee agrees on the fit. Here is some advice on how to make an informed choice about which Working Professional MBA program to choose. While people with the minimum eight years of experience do join the Executive MBA, there are relatively few. Executive MBA candidates become more competitive closer to ten years of work experience. On the other side, Professional MBA candidates must have a minimum of two years of full-time work experience, and candidates get competitive with closer to four years. The admissions committee doesn’t simply count the years but evaluates the level and quality of your work experience– the impact you’ve made in your organization, advancement in your role or responsibilities, and unique accomplishments.